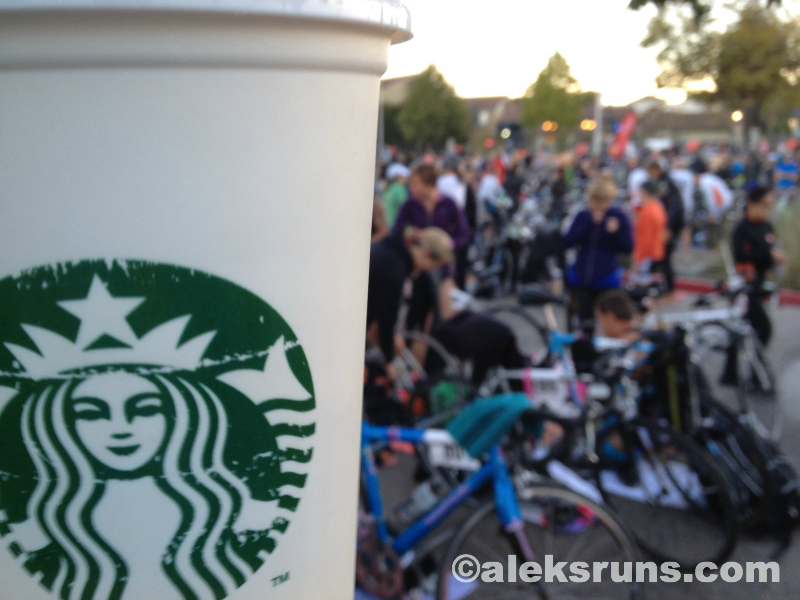 You know how sometimes you sign up for a race and begin second-guessing your decision? 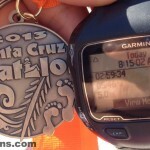 The Santa Cruz Triathlon – also known as The Sentinel (I believe that was its official name up until a few years ago?) – was a BIG game of “I can do it! — No I can’t!” for me. When I signed up, I was nervous about the ocean swim. Would the water be too cold? The waves too big? Sharks? A good practice swim calmed down those fears and all was good until, two weeks pre-race I sprained my ankle. Ragnar was a week away and dropping out was not an option, so I just cranked up the chiropractor visits, and hoped for the best. As I was running my night leg at Ragnar — and then again my morning leg, drenched in the pouring rain — I seriously considered just skipping it. 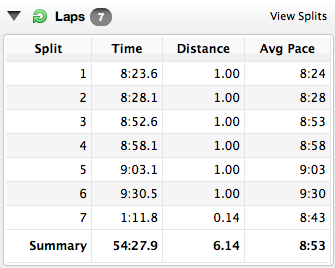 Sentinel-shmentinel, how the heck will I recover enough to swim nearly a mile, bike 25 and run 6.2, in just a week? Of course, that was the sleep deprivation talking and by Tuesday my “will do” attitude was back on. Then, I got an ear infection (likely caused by sleeping outside, on concrete, as it rained. You know, just your regular Ragnar stuff) — and the “just sit this one out” voices came back, louder than ever. I’m glad I silenced them all! It was an amazing day, brilliant weather, gorgeous swim, even more gorgeous ride and a pretty good run, all things considered! I have very few photos, unfortunately, because of the weird setup for this race, so this write-up will wordy. Buckle up! Next thing I know, it was well past 7:30 and we had to head to the beach. The first waves didn’t start until 8:00, but the race organizers wanted all triathletes at the beach for a “safety briefing” by 7:45. 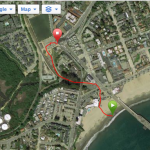 Well, I was kinda late for that – because, it turned out, the walk from transition to the start of the swim was a good mile, more than half of it on the beach. Did I mention this race has the weirdest setup? 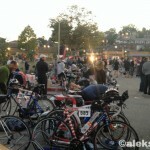 Made it to the general start area just as the first wave went off, so it must’ve been 8 a.m. sharp. 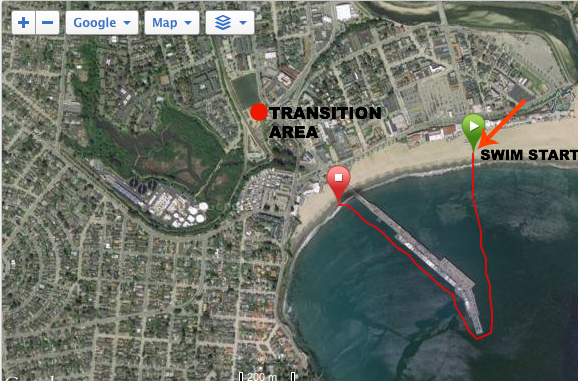 My wave start wasn’t for another 15 minutes, so I just took that time to jump in the ocean for a quick warm-up. Best ever! The sun was still low on the horizon, the water was nearly flat – and not cold at all! – people in wetsuits everywhere, excitement in the air… I wish I could’ve taken a hundred photos of it all. 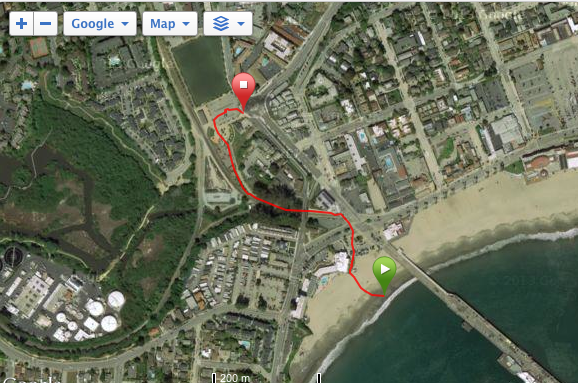 It was a beach start, which means you wait on sand for the start gun, then sprint into the water and jump in to swim. I’m glad I got to practice this beforehand. It was fun, and because I had been in the water already, water temperature was not an issue. In fact, it felt amazing! Once we got over a few waves in the beginning, the water calmed down and, with a wetsuit on, the swim felt just effortless. The smell of the salty water was wonderful. I actually managed to keep pace with my wave for a while! Of course, the bliss lasted for about 12 minutes, when I looked around to see that we weren’t even a third of the way through. 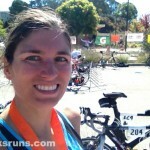 I was kind of over the whole swimming thing now and wanted to be on the bike! Around the Santa Cruz Wharf we went – the seals were particularly loud! – and headed back towards the beach. 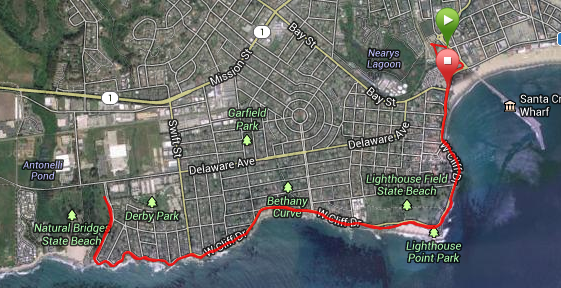 That took a while, longer than the swim away from the shore — or maybe it was all in my head. 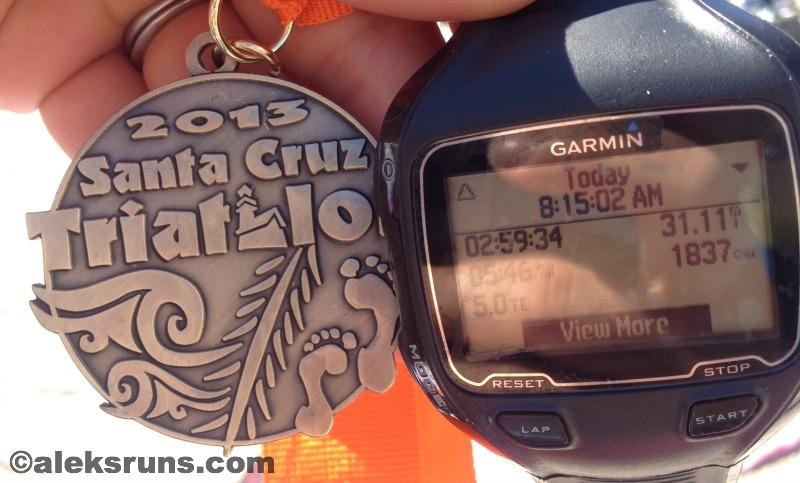 My official swim time was 35:51, almost three minutes faster than my last (and first!) Olympic tri swim, no doubt thanks to the wetsuit. Magic stuff, those wetsuits, especially once you find one that fits well! Transition 1… geez. It deserves its own section. 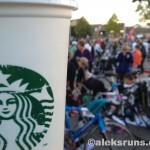 In a “normal” triathlon (in my kind of limited experience, but still! 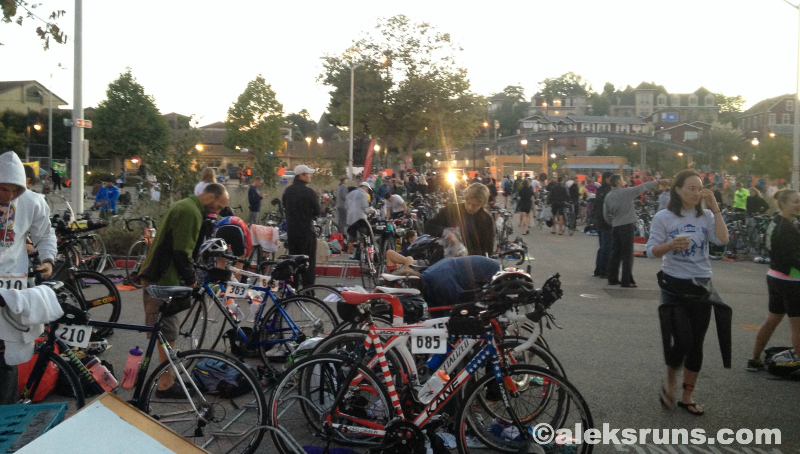 ), transition areas are set up close to the swim and bike/ run courses. In all the tris I’ve done so far, you run out of the water and then almost immediately into transition. Not in this one! 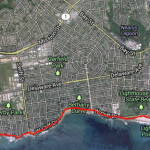 Here, we had to run almost half a mile – barefoot, I might add! 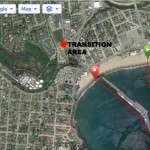 – to get from the beach to the transition area: It wasn’t that bad, though. Coming out of an open-water swim can be disorienting, so this little walk/ jog/ tippy-toe-run was just the thing to clear my head and give me time to take off swim cap and goggles and strip the wetsuit down to the waist. 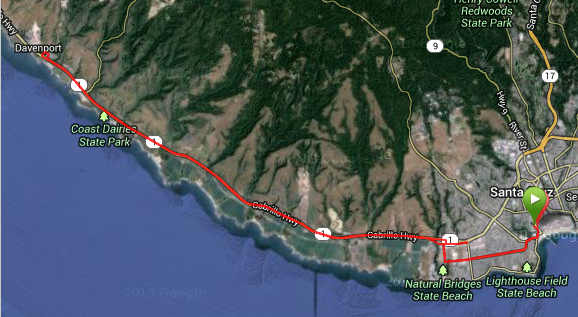 The Santa Cruz Triathlon bike course, in three words: rolling hills, beautiful. 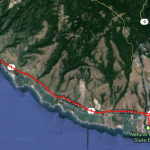 It has just a few turns/ U-turns in the beginning and once you hit Hwy 1, it becomes an almost straight out-and-back course to Davenport. Everything was perfect, except that time when I had to stop and dismount my bike because I couldn’t open the darn GU chomps packet with one hand. One thing I forgot to do when setting up my bike pre-race. I must have lost at least a minute and a half to that, but whatever – not like I was winning. 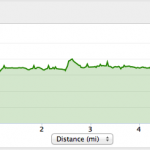 The rolling hills on this course can looks intimidating, but because you do every single climb coming off a descent, they were very easy to take. And because I’d ridden the course before, I knew I wouldn’t even have to switch out of the big gear. 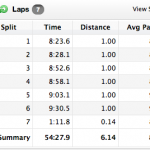 T2: 2:07 — Nothing interesting, except I put on a race belt skirt, unworn, untested, price tag freshly removed. (Oops, nothing new on race day, remember?) Luckily it worked out just fine. As a crossed the finish, a kind volunteer put my medal around my neck and congratulated me. Such a nice gesture and somewhat rare these days as many volunteers end up just handing you the medal (or, worse – you have to grab it from a table near the finish). It must be noted that all volunteers at this event were amazing. Thank you! 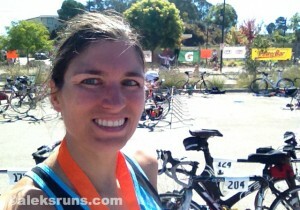 I don’t have photos of the finish line, as that, too, was far from the transition area where my phone waited in my bag. Once back there, I just didn’t feel like going back into the crowds for the requisite medal-against-Finish-line-backdrop photo, so here it is, next to my Garmin: It’s not a massive bling honka-donk, but it’s old school, much like the decades-old race it commemorates (which, it must be noted, is not-for-profit, as well) — and I love it! I’d love to come back next year and see if I can squeak in under three hours on this course. Congratulations on a job well done, especially when you weren’t 100%! That sounds so weird with the transitions so far from the different areas you needed to be. I would have been frustrated. Thanks! Yeah, it was odd. But overall such a great race and a wonderful day!